Garcia’s June 26, 1992 ruling expressly placed several key works in the public domain, including the 1949 Whispers From Eternity, Cosmic Chants (1938) and other lesser-known works such as Attributes of Success (1944). We were to discover that the decision, without mentioning the work by name, also negated SRF’s claim to the copyright in the Autobiography of a Yogi, recognized as one of the hundred most significant spiritual works of the twentieth century. Yogananda worked on his Autobiography for decades. Some trace its origins back to his 1916 trip to Japan, and he referred to it over the years under a variety of names, including Yogi Saints of India. Yogananda believed the Autobiography to be his crowning work, and he carefully took out the copyright in his own name. SRF had maintained printing facilities at Mt. Washington since the late 1920s, and by the war years was printing the magazine on site. In-house publication costs ran so high that Yogananda sometimes encouraged donations so they would not have to “fire the printer.” But in-house publishing would not do for the Autobiography. Yo­gananda wanted the printing quality, and the distribution connections, of a major publisher. That meant a New York house. In the spring of 1944, with the book taking final shape, Yogananda sent his trusted editor Laurie Pratt, later known as Tara Mata, back East to secure an ap­propriate publisher. 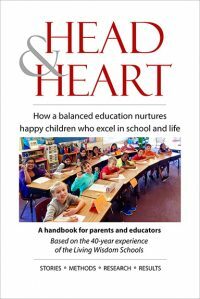 She settled with her daughter in a house on Long Island, and after two years of effort produced results. An expatriate Romanian scholar named Dagobert D. Runes started the Philosophical Library in 1941, to publish the works of European intellectuals recently forced to flee their homelands. By 1946 the house had acquired a sufficient cachet that Yogananda predicted the book’s publication would “bring millions to the work.” On August 12, 1946, Pratt signed the Pub­lishing Agreement as Yogananda’s attorney-in-fact, and four months later the first shipment of books was on its way to Mt. Washington.During the Autobiography’s first ten years, eight English language editions appeared, three in England and five in the United States. Minor changes were made to the second printing, and the third edition of 1951 contained an update that we know came from Yogananda’s own hand. On October 28, 1953, SRF purchased the publishing rights to the Au­tobiography from the Philosophical Library, an event reported in the Self-Realization Magazine that next month. For the next three annual “editions” of the Autobiography from 1954 to 1956, SRF made no substantial changes. In the eighth edition of 1957, however, SRF made hundreds of changes to the text that modified, often dramati­cally, what Yogananda had written. These changes included minimizing the role that Yogananda played vis-à-vis his organizations, and augmenting SRF.s organi­zational power and authority. SRF dutifully renewed the copyright to the Autobi­ography in 1974. Reading the order once again, I felt there was more here, something I had been told, or knew, but forgotten. I sometimes have that feeling standing in a grocery store aisle, with a vague memory of my wife’s lips forming the name of a food item I was supposed to pick up. Maybe it was the smell of gardenia through the window, but I suddenly remembered that other book that Yogananda had copyrighted, and that SRF had renewed after 1952. Could we have won the Autobiography without even asking for it? Had SRF lost a crown jewel without realizing it was at risk? Or was that why the complaint had never mentioned it? Turning to the files, I found both the original publishing agreement signed by Laurie Pratt in 1946, and the 1953 assignment of those rights to SRF. A quick read revealed that SRF did not buy the copyright to the Autobiography in 1953, and had purchased only those publishing rights that the Philosophical Library had received through its 1946 agreement with Yogananda. Yogananda held on to the copyright. When the initial term of the copyright expired in 1974, SRF lacked any legally rec­ognized grounds to renew. Only Yogananda’s heirs could renew the copyright, but they knew nothing about these things and filed no papers. SRF had filed paperwork that purported to renew the copyright, and perhaps even thought the copyright renewed. But because the Copyright Act did not authorize SRF to renew, those papers were a nullity and the copyright had lapsed—back in 1974. At that moment the 1946 publishing agreement became worthless, and its 1953 assignment to SRF more so. SRF not only lacked any copyright in Yogananda’s masterpiece, but had lost that copyright eighteen years earlier. Did they know? I remembered reading about SRF’s 1953 announcement that it had acquired the Autobiography, and wondered whether that article might show SRF’s thinking at the time. The magazine came out bi-monthly those days, and retrieving a copy of the November-December 1953 issue, I started flipping through the pages. Sure enough, there it was on page 34: “SRF Acquires Rights in ‘Autobiography of a Yogi.’” The article claimed that SRF had been assigned “all right, title, and interest in Autobi­ography of a Yogi by Paramhansa Yogananda, including all rights in the American edition as well as editions published or to be published in foreign lands.” The book “will henceforth be issued in America by Self-Realization Publishing House,” with the next printing expected in December 1953. The article was wrong in every way. Philosophical Library gave SRF only its rights in the Autobiography, not all of the rights, and significantly not the copyright. From the beginning, therefore, SRF had misstated or misunderstood its rights in the Autobiography. The Matas must not have known how tenuous was their hold, or they never told their lawyers. When the legal team discussed this ripple from Garcia’s June 1992 order, we realized Ananda could now publish its own copy of the original 1946 first edition of the Autobiography. In a single coup Ananda would dethrone SRF as the sole source of their Master’s teachings, and document the changes that SRF had made to its published works. Yogananda’s centenary would be celebrated that next year and this would make a fitting tribute. But there was no time to waste. As forthright as it is quick to action, Ananda made its plans public, and told an SRF representa­tive that it would be releasing a verbatim reprint of the 1946 first edition in August 1993. SRF did nothing. But they were worried. 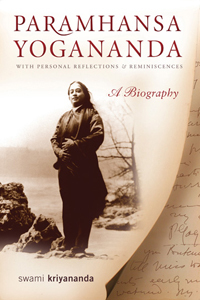 The publishing of the 1946 edition of the Autobiography would debunk SRF’s claim that it provided the world with Yo­gananda’s “pure” teachings. The June order also got us thinking about Yogananda’s heirs. If SRF did not own the copyrights, who did? Some had fallen into the public domain, but Yoga­nanda’s “common law” rights in his unpublished works might have passed to his heirs. It was worth pursuing, and the legal team put Vidura Smallen on the job. Other matters demanded attention. Yogananda began his mission by establishing residential schools in India. The year after Yukteswar initiated him a swami, Yogananda started his first school for boys at Ranchi, in the Bengal. Two years later, in 1917, Yogananda founded the Brahmacha­rya Vidyalaya school at Dahika, India, and formed his first organization. He named it Sat Sanga, later translated as “Fellowship with Truth.” Yogananda’s Guru had himself brought together religious leaders into an ecumenical organization called Sadhu Sabha, or “Society of Saints.” Yogananda held the title of vice-president while in America, and became president on Yukteswar’s passing in 1936. After 1952, the leadership of Sadhu Sabha, and control of its property, came to rest with a Swami Hariharananda. SRF filed a lawsuit against Hariharananda in 1987 concerning Yukteswar’s old ashram, and the case spiraled into a Dickens-esque debacle. Yogananda kept his first organization low-key. He did not want to appear to com­pete with his guru’s association, and Yukteswar’s own guru, Lahiri Mahasaya, had ac­tually discouraged using organizations to transmit the teachings. Once in America, other matters demanded Yogananda’s attention, but he never forgot his first organization. He remained in constant contact, changing its name to Yogoda Sat Sanga, or “YSS,” in the 1920s. When litigation forced the formation of Self-Realization Fellowship Church, Inc., Yogananda signed a will giving YSS half his property and made SRF promise to look out for the Indian organization that had started it all. When back in India in 1936 Yogananda executed another will to further protect YSS’ interests. In his last years he feared, however, for the future of his Indian organization, and perhaps foresaw how YSS would become more a neglected stepchild than an honored older sibling. SRF could not abide these legal developments, and on May 21, 1993, filed a mo­tion asking the judge to reconsider his copyright ruling too. Its lawyers scheduled the motion to be heard a few weeks later in June, so that they could circulate any or­der in time to recall all copies of the 1946 reissue before they reached the bookstores. Garcia must have been busy, or wanted to send a message, because he delayed the hearing date for four months, rolling it into October. 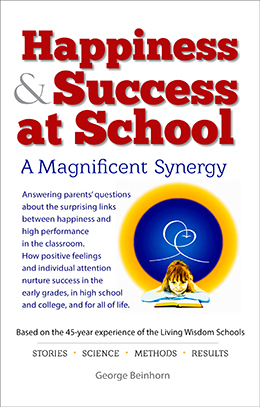 This would have been too late to stop Ananda’s August release of the Autobiography. 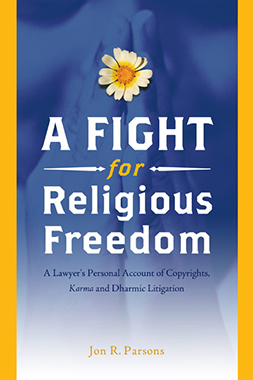 Plaintiff’s application is, in reality, a motion for a temporary re­straining order enjoining defendants from publishing and distribut­ing the first edition of Autobiography of a Yogi. Viewed in that manner, plaintiff has failed to demonstrate either: 1) a likelihood of prevailing on the merits of its reconsideration motion and irreparable harm; or 2) the existence of serious questions and that the balance of harm tips in plaintiff’s favor. Accordingly, the application is denied. During the Ananda Centennial Celebration of Yogananda’s birth, the 1946 first edition reprint was released as planned. It was, for the moment at least, avail­able for all. It would remain so unless the Ninth Circuit reversed Garcia’s copy­right order. If the appellate court did reverse Garcia, however, Ananda might be on the hook for this additional claim of infringement, and substantial additional damages. Once again, Ananda showed it had the backbone to carry Yogananda’s message to the world.